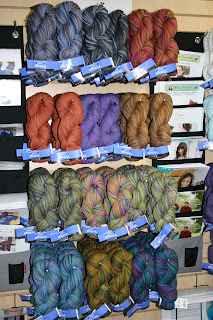 Yarn and Fiber Happenings: Welcome the Winter Elegance Shawl, Vintage Colors Yarn and Our Spinning Wheels and Supplies! Welcome the Winter Elegance Shawl, Vintage Colors Yarn and Our Spinning Wheels and Supplies! A new shawl has arrived! 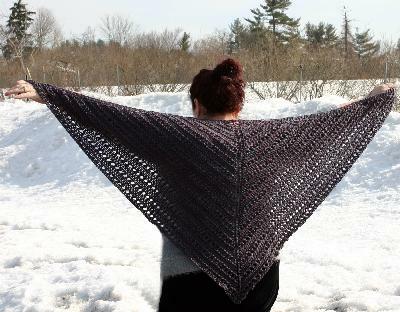 Help me welcome the Winter Elegance shawl! 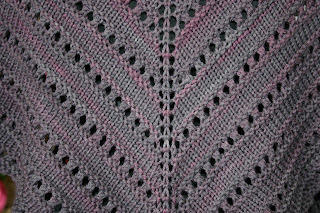 Beautiful and practical, the Winter Elegance shawl is an easy to knit lace shawl knit using 2 skeins of Ivy Brambles Superwash Worsted Yarn and a US Size 9 needle. 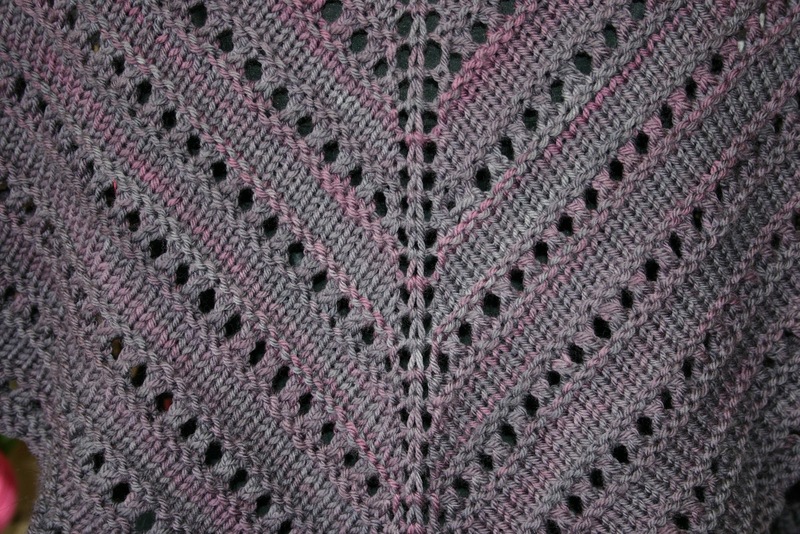 Using two skeins of worsted yarn produce a shawl that is 30 x 60 inches (76 x 152 cm) when blocked. As this shawl is knit from the neck down, it is easily adjustable to become a larger shawl simply by continuing on in pattern with additional yarn. 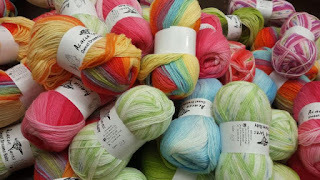 Also, new to the Yarn and Fiber Company is Berroco Vintage Colors Worsted Yarn! All the beautiful variegated colors of Vintage Colors have arrived and they match up well with the Vintage solids for those beautiful blankets and afghans! More arrivals include new drop spindles, Bewitching Batts as well as an adorable Schacht Ladybug now sits next to the Ashford Traveler and Traditional wheels! Sign up for spinning class today and knit your first skein of unique yarn tomorrow!